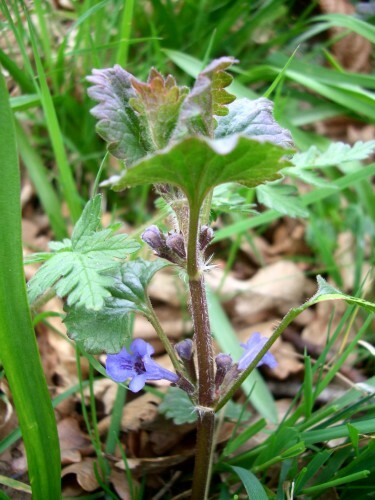 Ground Ivy, sometimes called Ale-hoof, is a common weed found in woodland, grassy and waste places. 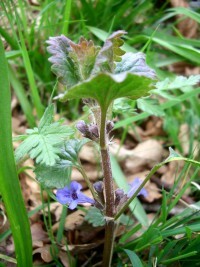 The stems creep along the ground and form roots. 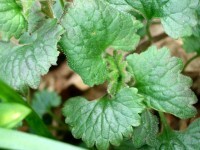 The leaves are rounded and hairy. 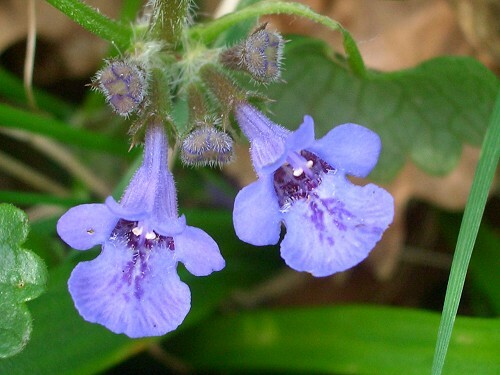 The violet flowers are tiny (1 cm across) but very pretty with purple spots on the lower lip. This plant is used for medicinal purposes - for kidney and chest complaints. In the past it was used in beer-making instead of hops. Hence its other name Ale-hoof.